Foxhill is a private manor-house hotel in the Cotswolds, with eight unique bedrooms and suites. A Grade-II listed Arts and Crafts country home refreshed and revitalised for the 21st century. Your time at Foxhill is not like the usual hotel stay; here, everything revolves around you. Dine when you want, where you want. Be as active or as lazy as you like. 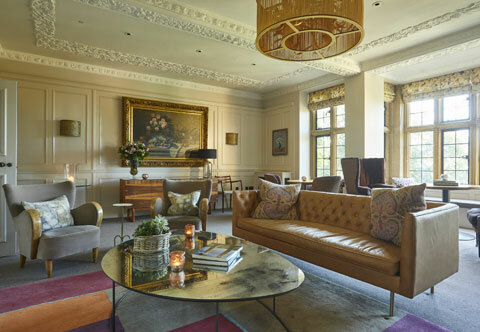 Throw a party, ramble around Farncombe Estate, while away a day in the Dormy House spa, sip sunset cocktails on the terrace, hold a movie marathon in the Cinema Room, or cosy up by the Drawing Room fire with a book, a board game and a Burgundy – Foxhill Manor is what you make it.